Lobster Fact of the Day – Did you know, that centuries ago lobsters used to be so plentiful in North America that Native Americans used them to fertilize their fields and bait their hooks for fishing? To continue our celebration of this lovely crustacean, we’re bringing you a collection of recipes to help you explore all the possibilities offered by the mighty lobster. Our featured recipe comes to us from grilledcheeseacademy.com. This sandwich was the grand prize winner of their 2013 Grilled Cheese Recipe Showdown and was created by Veronica Callaghan of Glastonbury, CT. In small bowl stir together butter and chili paste. Set aside. In medium bowl stir together Wisconsin Mascarpone Cheese, scallions and tomatoes. Spread Mascarpone mixture over each bread slice, evenly dividing. Top Mascarpone on 2 slices with 2 Provolone slices followed by arugula, evenly dividing. 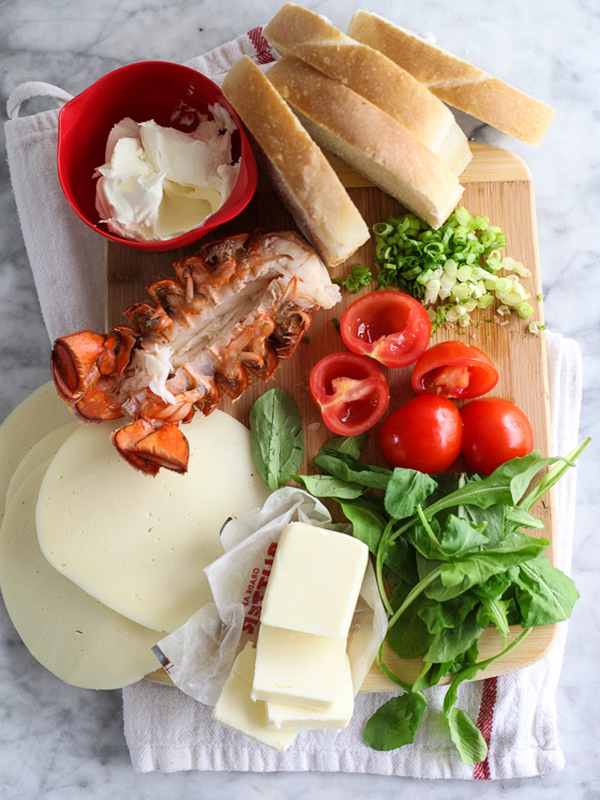 Arrange lobster in even layer over arugula, then top with remaining Provolone slices followed by remaining bread slices, Mascarpone-side-down. In large nonstick skillet, melt 2-3 tablespoons butter over medium heat. Place sandwiches in skillet and spread remaining butter over sandwich tops. Cook sandwiches until bottom bread is golden brown, about 3 minutes. Using a spatula, carefully flip sandwiches, pressing down gently. Continue cooking additional 3 minutes, or until both sides are golden brown and filling is warm and melted. 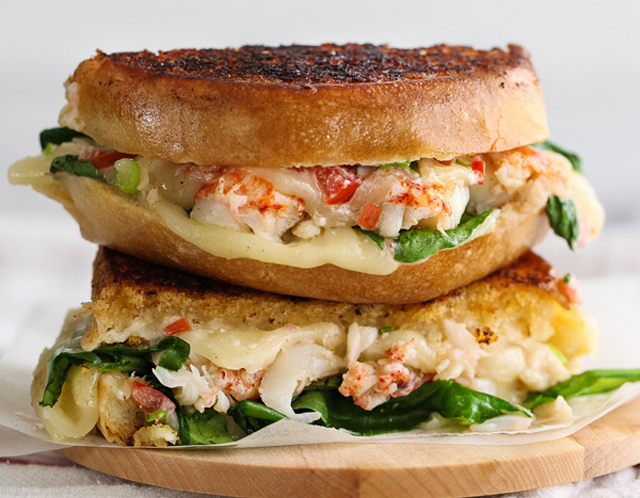 Lobster Sandwich Recipes to Try! If you haven’t had the chance to win any lobster at QuiBids yet, now’s the time! The above recipe calls for 1 cup of cooked lobster. 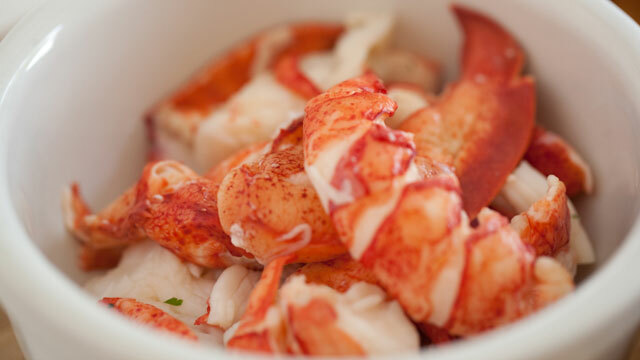 For this recipe we suggest the Hand Picked Lobster Meat – 2 Lbs. Buy it now for $169.99 and receive 17 Free Bids! Our Hand Picked Lobster is also available in larger quantities. See the store for more options!